White Stella McCartney Dresses first surfaced on Chictopia's streetstyle gallery in Spring 2013 seen on West Hollywood blogger MartaPozzan of itssuperfashion.com. She wore her white Stella McCartney white dress with a cream Mercura NYC pearl sunglasses sunglasses and turquoise blue Stella McCartney faux-snake pumps pumps. Since then, White Stella McCartney Dresses have grown in popularity as bloggers from West Hollywood, Hamburg, and Manila have discovered them. White Stella McCartney Dresses are generally seen in trendy, casual, and chic style. 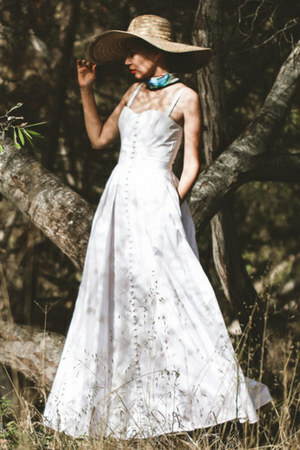 A popular type of White Stella McCartney Dresses are . There are currently 4 streetstyle photos of bloggers wearing White Stella McCartney Dresses.